The International Red Cross/Red Crescent Movement is undertaking a major mobilization of its global resources to meet the humanitarian needs following the 7.9 magnitude earthquake that struck Nepal on 25 April. According to UN figures, over 8 million people are in need of assistance and 3 million are in need of food. As people reach the more remote areas of Nepal the numbers of deaths and injuries continues to climb; so far nearly 7000 people have been killed. Ensuring that survivors have access to medical services is a top priority. The Norwegian Red Cross is deploying personnel and a field hospital with a capacity of 60 beds and equipment, in addition to contributing funds toward the relief work. Having supported the Nepal Red Cross’ Disaster Risk Reduction program for several years, the Norwegian Red Cross is in close dialogue with the Nepal Red Cross on how to support them in the rebuilding process. As part of our ongoing partnership with the Norwegian Red Cross, DNV GL has established a global employee donation campaign. 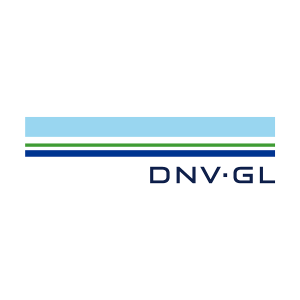 The initial campaign ran from 29 April to 13 May, and DNV GL employees donated 251,491 NOK, with funds matched by DNV GL. Altogether, 502,982 NOK was raised for the relief efforts. For those who contributed, thank you! The official campaign is now closed, but the need remains. If you would like to contribute to the relief efforts in Nepal, you can still donate here. Funds raised after 13 May will not be matched by DNV GL, but will still make a difference.